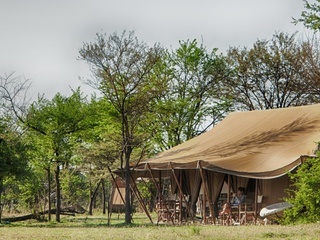 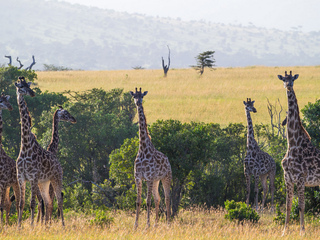 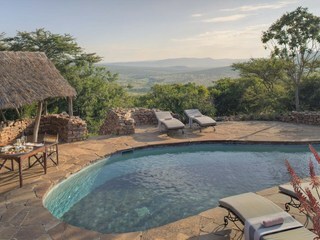 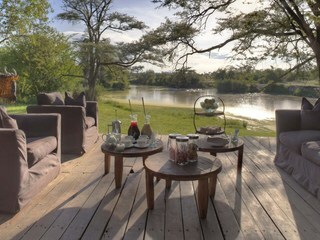 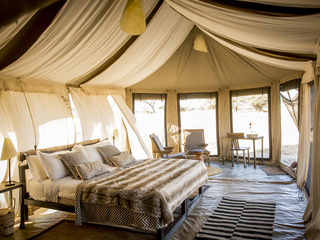 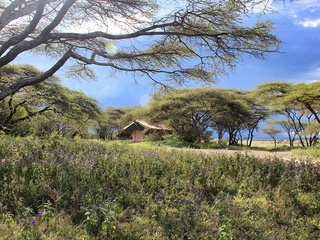 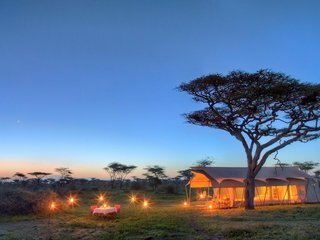 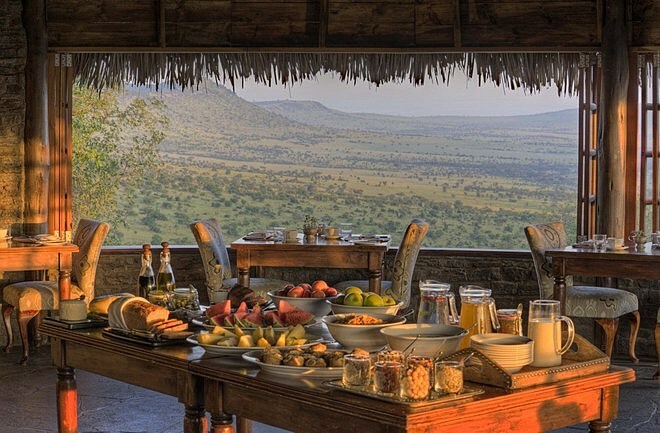 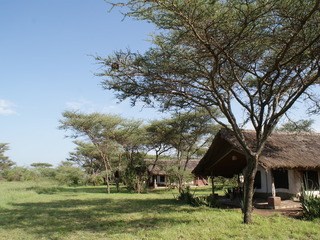 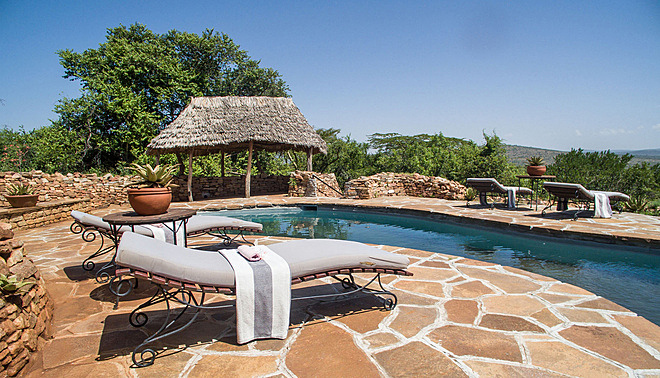 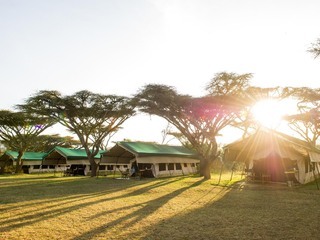 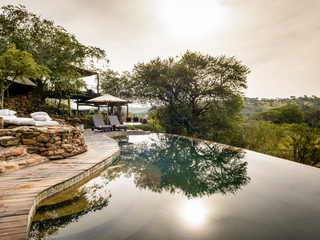 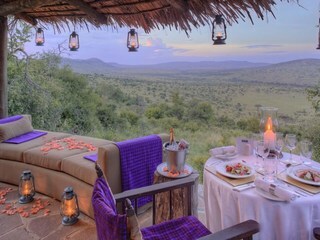 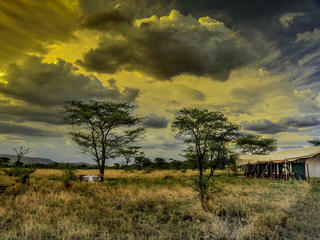 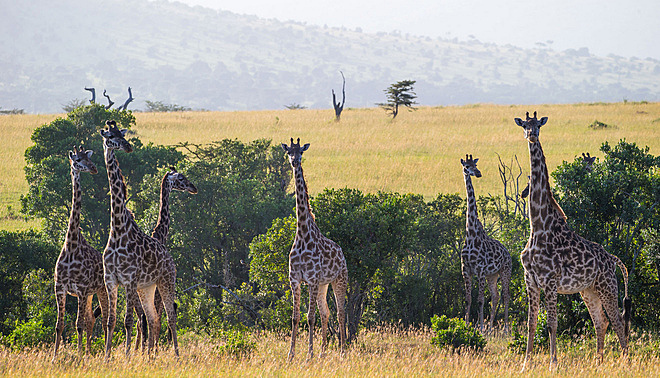 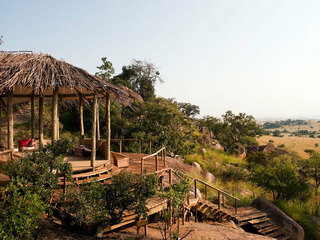 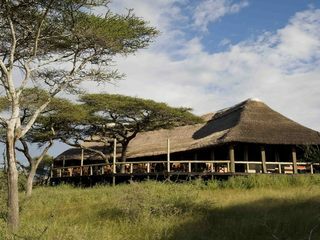 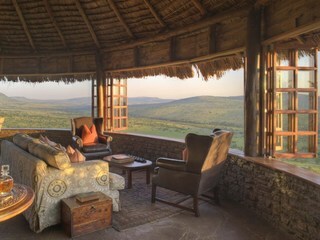 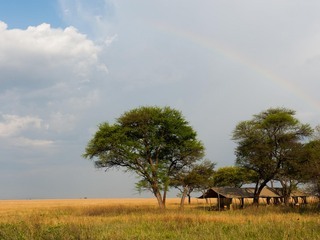 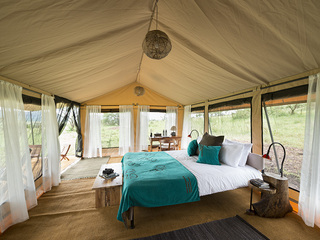 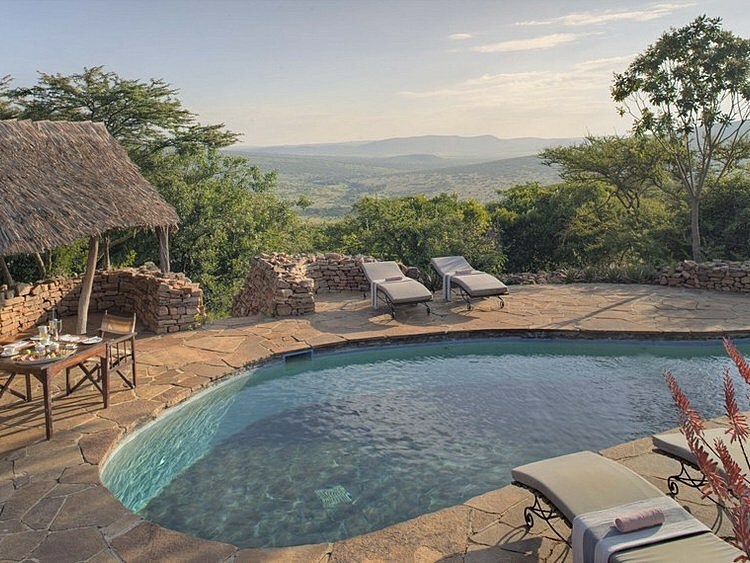 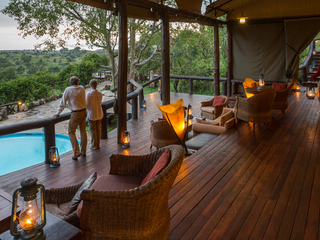 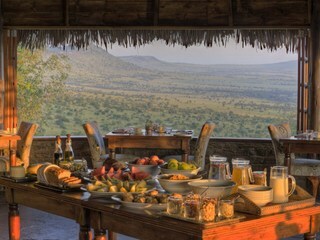 Klein’s Camp is a small, luxury lodge perched on the rocky slopes of the Kuka Hills with lofty, uninterrupted views over the vast Serengeti and Masai Mara plains, Northern Tanzania. 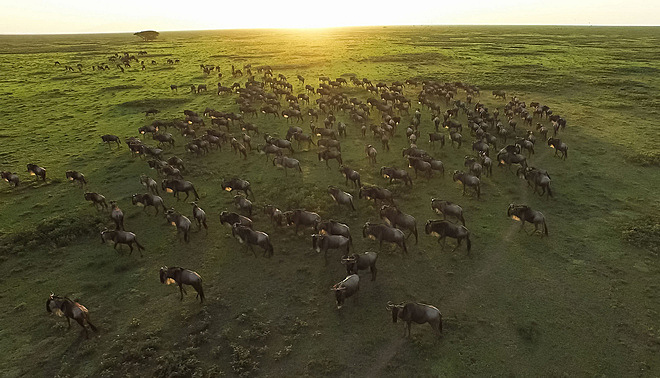 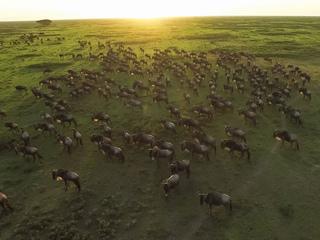 There is abundant year-round wildlife including buffalo, elephant, lion, hyena, cheetah and leopard, and during the Great Migration, some two million wildebeest pass through, creating a dramatic spectacle. 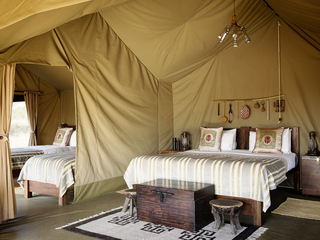 The camp belongs to the &Beyond Portfolio and offers a high level of comfort and service. 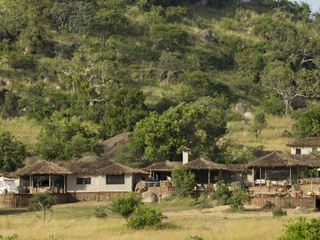 The main dining and bar areas are constructed of stone and thatch with lavish furnishings. 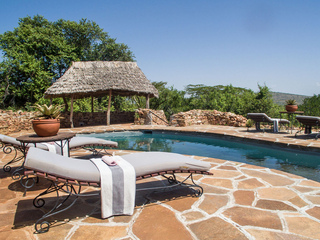 There is a deep, round fire pit at the heart of the open-sided lounge area and a good-sized pool is set slightly apart on a delightful stone terrace. 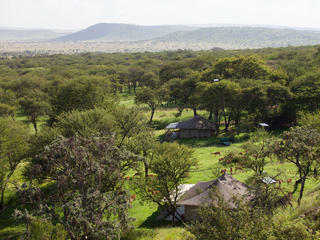 WiFi is available and all areas of the camp boast sweeping views of the valley below. 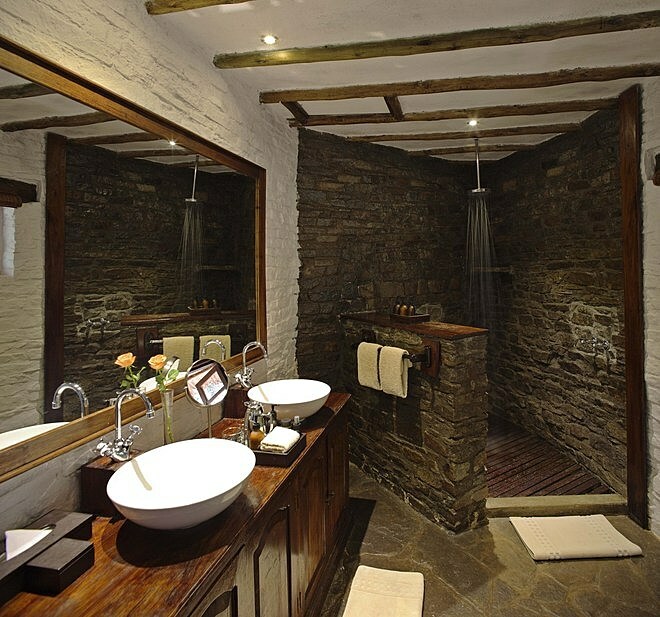 The accommodation comprises 10 well-positioned thatched cottages with whitewashed walls, soft cream furnishings and wooden floors. 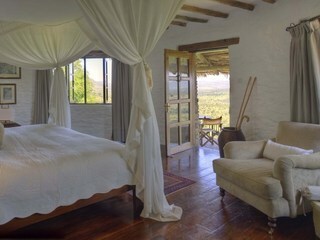 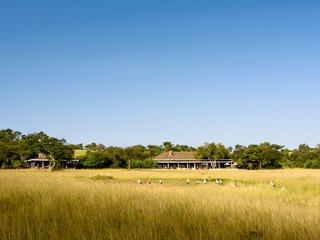 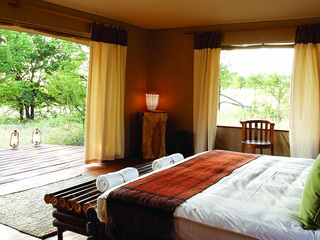 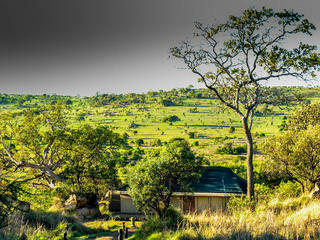 Each cottage has a large double bed, private veranda and en-suite bathroom. 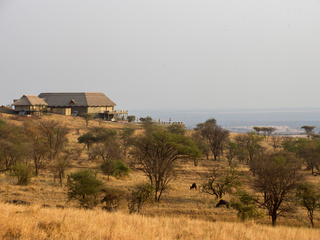 The private nature of the 24,000 acre concession means that game drives take place both day and night and guests do not encounter other vehicle traffic, a rare luxury. 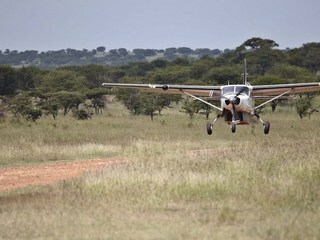 Off-road driving facilitates really close wildlife sightings and the birdlife is spectacular. 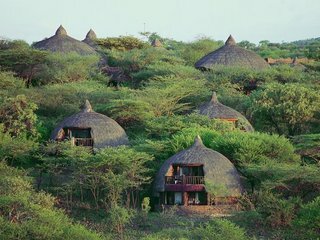 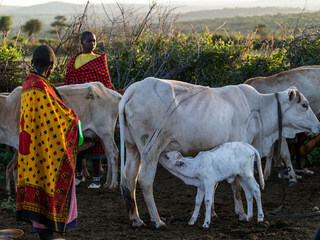 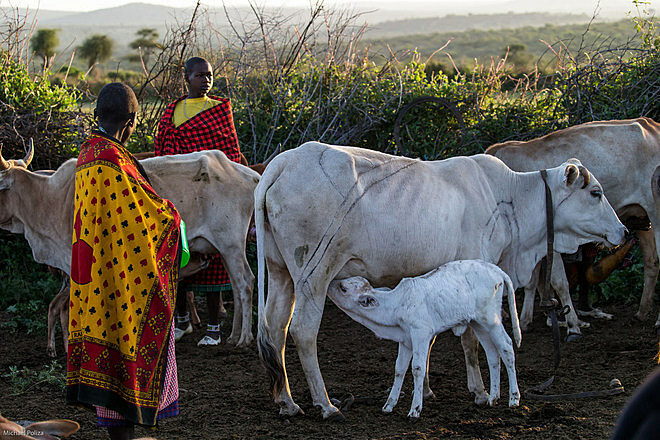 It is possible, at additional cost, to visit an authentic Maasai village some three hours away, where guests are invited into a traditional home for a glimpse of the Maasai way of life which has remained largely unchanged for centuries. 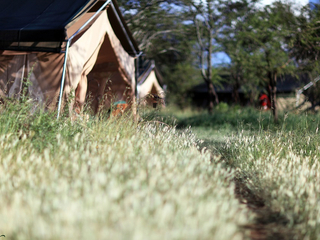 Children are welcome and all young visitors receive the camp’s ‘WILDchild’ welcome pack, informing them about local wildlife and culture. 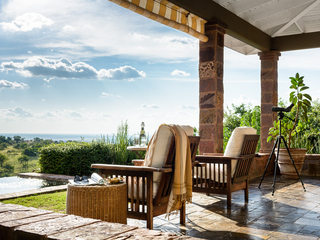 The family suite comprises two spacious cottages connected via a protected walkway and can accommodate up to two adults and two children (three children can be accommodated on special request). 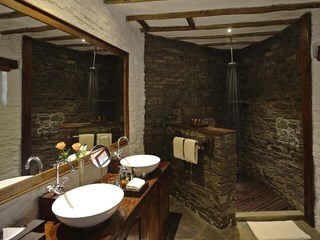 A limited number of triple rooms are also available. 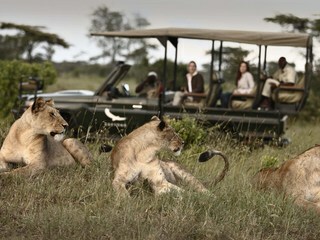 Game drives in standard, non-exclusive use vehicles are available to children aged 12 years or older. 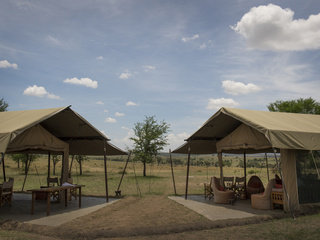 Children aged 6 – 12 may be permitted on game drives at the lodge manager’s discretion and children under 6 cannot participate in game drives, although childminding can be arranged at additional cost. 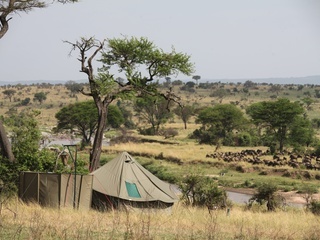 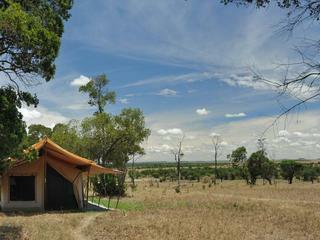 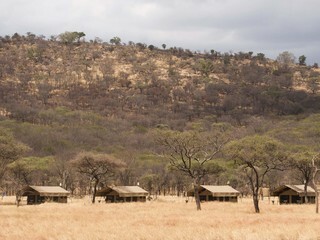 Note that the camp is unfenced, with wildlife free to roam. 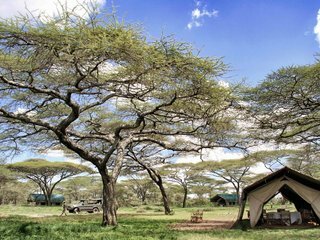 While animals are unlikely to approach tents or humans, children of all ages must remain under vigilant parental supervision at all times. 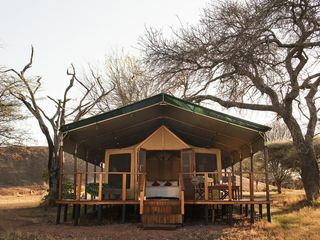 Klein’s Camp has a relaxed, exclusive feel in a phenomenal location. 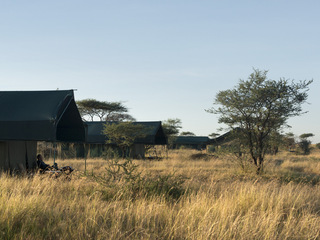 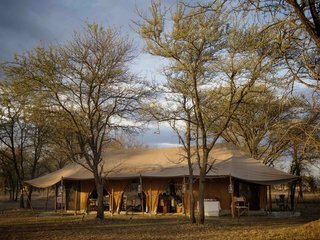 While it is not an option for those on a limited budget, it is an excellent choice for any traveller in search of a genuine safari experience combined with cultural interaction, comfort, and privacy in a true wilderness location.